People with special needs require attention. Everything takes a little longer to accomplish. Many with special needs occupy wheelchairs which are heavy, and not easy to carry around. Making use of a regular taxis service is just not a viable option. More space is required for packing, and more time and patience is required by the driver. 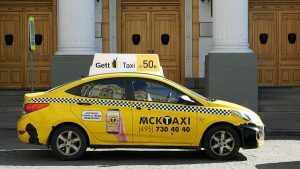 Regular cab drivers are always in a bid to beat the clock, the more trips they complete, the better their compensation. A constant battle between comfort, and independence. For people who have children with special needs it is important that your child be as comfortable as possible, however, you want to instill in them a feeling of independence as well. While you may be wary to allow them access to public transportation, you can make use of special needs taxis services to build their confidence. Take the first few trips with them to ensure your child to feels at ease, comfortable, and safe. Once you are happy let your child try the trip on their own. The vehicles are usually equipped for wheelchairs, and large enough for easy movement. The drivers are trained to assist the passengers adequately. One taxi company in Chicago is taking the transport of special needs individuals to new heights. They have realized the need for people with disabilities and the elderly, to have the freedom to enjoy safe, reliable and convenient transportation. Their vehicles are wheelchair accessible and they are reasonably priced. Special Needs Chicago Inc provides services to private clients as well as corporate clients and facilities. People with special needs may realize they have certain limitations when getting around; however, facilities should be in place to ensure these people have every chance possible to live their lives to the fullest.